A few years back, in Invincible Iron Man #2, Matt Fraction introduced a superteam called Triumph Division, based out of the Phillipines. Because they were a plot device masquerading as a team, they were blown up within something like three pages. This didn't go over so well with folks, given that they were the first and only Filipino team from either major publisher, but their legacy counterparts showed up later and still occasionally appear in a Marvel book here and there. That "disposable team of heroes" plot device isn't the thing I wanted to talk about today, though. It was the reaction to the characters themselves; namely the complaints that the characters weren't Filipino enough. Over on scans_daily, there was (surprise!) a pretty spirited discussion about it, with a lot of folks chiming in that, outside of Anitun and maybe one or two of the others, there's not a lot of Filipino cultural influence on the team. Warrior One's costume looks to be a modified version of the traditional dress of the Aeta and Mighty Mother is probably a cute reference to how much power the mother wields in the traditional Filipino family, but the rest are heroes that basically look like you could drop them in as new Avengers and they'd be okay. It really surprised me that people were asking for characters that were more deeply tied to the culture, instead of pleased that the characters weren't reduced to one-note references to mythology or history, as usually happens with non-American heroes. There's a long tradition in comics of having American heroes be a pretty diverse lot of characters, at least in terms of their heroic identities, then having non-American characters be something that are usually just this side of stereotypes. There's a long list of them: Banshee, Shamrock, Black Knight, Batroc (a savate master), Man-of-Bats, Knight and Squire, Gaucho, Ursa Major, Red Guardian, Mandarin, and pretty close to everyone from the Great Ten. Even some American characters get this treatment. 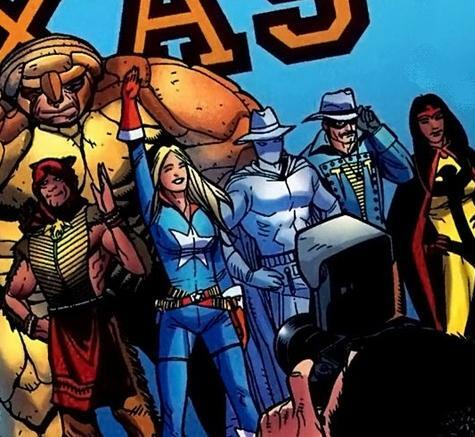 Just take a look at the Marvel team that's based out of the American Southwest, the Rangers: you've got Texas Twister, a cowboy that can turn himself into a tornado; Shooting Star, a cowgirl quickdraw artist; Phantom Rider, a ghost cowboy; Armadillo, a guy that looks like an armadillo; and Red Wolf, a really stereotypical Native American. They've recently added 51, an alien teleptah with a name that clearly references Area 51. I was really pleasantly surprised when they had Scarlet Spider move down to Houston and didn't have him tripping over Texas-themed heroes every two seconds, other than the occasional run-in with the Rangers. There's been a lot of backlash against this, of course; it feels just a touch racist to boil a culture down to its mythology and to the cultural signifiers that are most visible to outsiders. Think about what an American superteam that consisted only of American cultural and mythological figures would look like: Captain America! The Screaming Eagle! Paul Bunyan! Manifest Destiny! The Cowboy! Burger-Man! NFL Pro! Uncle Sam! And their kid mascot, Apple Pie! Huh. I kinda want to read that book now. Anyways, getting back to the point, I thought at the time that Triumph Division was actually a fine balance between using cultural elements to design a team, but not letting them dominate the design. There were one or two characters very strongly tied to Filipino culture, another couple with more tenuous ones, and then several that were pretty sort of standard characters: a magic guy, a martial artist, a power armor guy, and a Superman type. All in all, it seemed like a good way to honor the culture. 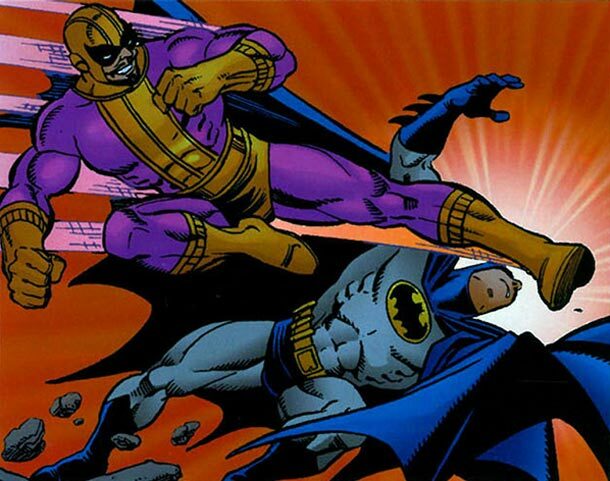 Regardless of the answer, though, Batroc stays. Filipino and Filipino American readers who wanted a stronger cultural link to the Phillipines. These were, after all, the only Filipino characters in a major American publisher's comics, even if they did get blown up in three pages. If the representation is going to be so brief, is it better for them to be distinctive in their cultural identity, even if that borders on stereotype? Is it better to have these most visible characteristics be very strongly tied to culture, then establish the characters as individuals? I don't have any real answers here, but I think it's worth discussing, especially with Marvel and DC both trying to create more diverse characters.